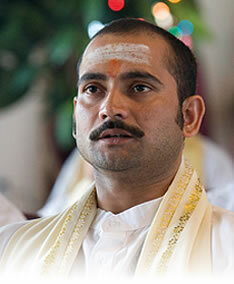 Make Brahmananda Saraswati Foundation of Canada a beneficiary in your will to support the continued training and education of the Maharishi Vedic Pandits. In an existing will, simply add a clause to make the amendment. Sample clause: "I direct my trustee(s) to pay the sum of _________DOLLARS ($__________)CAD to Brahmananda Saraswati Foundation of Canada (BSF-Canada), currently located at PO Box 78072 RPO MERILINE, Nepean, ON, K2E 1B1 Canada, for its general purposes. The receipt of an appropriate officer of BSF-Canada shall be a sufficient discharge of my Trustee(s)." Tax receipts for the full amount of the donation may offset capital gains or other taxes payable and lessen the financial burden to beneficiaries. We always advise that you consult your financial or legal advisor when considering making a bequest. Copyright © 2014 Brahmananda Saraswati Foundation of Canada. Click here for terms and conditions, privacy and refund policies.